Police are accusing a man of setting fire to the Brooklyn apartment where his girlfriend's younger siblings were sleeping early Sunday, and the kids had to be rescued by firefighters. 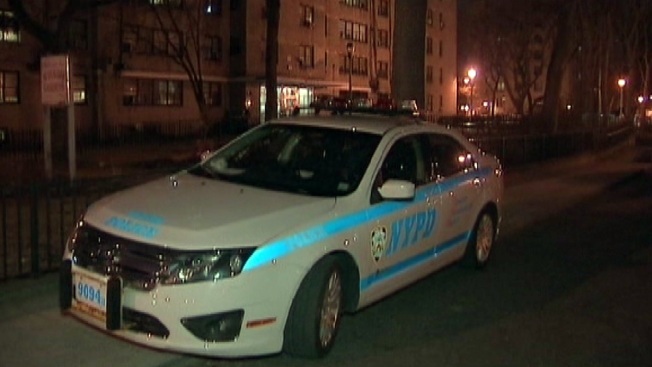 NYPD says the 22-year-old boyfriend, Thaddeus Boone, is charged with attempted murder, arson, assault and burglary. Police allege he started the fire in the Boerum Hill home after an argument with his girlfriend. The children, an infant boy and an 8-year-old girl, were sleeping in separate bedrooms in the third-floor apartment on Third Avenue when the fire erupted shortly after 2 a.m. Sunday. Firefighter Jordan Sullivan of Ladder 105, who graduated from the fire academy in December, found the 5-month-old unconscious, according to the Daily News. Firefighters helped rescue an 8-year-old girl and a baby boy from a fire at a Brooklyn apartment complex. Ida Siegal reports. The 36-year-old Sullivan handed the infant to another firefighter who rushed him to an ambulance. The 8-year-old girl also was taken to a hospital. Both children were listed in stable condition. Three other people, including another infant, also were injured in the blaze. The infant was in serious condition at the hospital. An adult and another child had minor injuries. Boone was being held at a police precinct. It was not immediately known if he had a lawyer.